When it comes to producing quality pizza pies, the usual suspects like New York, Chicago and San Francisco typically dominate the “who does it the best” discussions—and rightfully so. These cities have engrained themselves into the fabric of Italian cuisine in America thanks to both local twists and a high rate of deliciousness. Yet, in a fashion not unlike OutKast at the 1995 Source Awards, Detroit has bum rushed the pizza scene and the nation is beginning to take notice. While we lack that feature that truly would define “a Detroit pie,” it’s undeniable that there are several shops around town that are doing their part to back-up the critical acclaim. 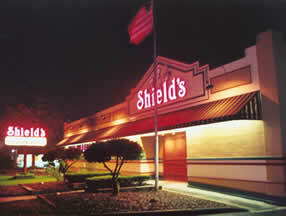 A metro Detroit mainstay since their first location opened at the corner of Davison and Shields Streets in Detroit in 1937 (now defunct), Shield’s has expanded to four locations, with plans for an additional restaurant in downtown Detroit. Solid deep dish pies and tasty antipasto salads were their calling card back then, as they still are today—evidenced by the myriad of awards they’ve garnered over the years. Tucked in the southwest corner of Eastern Market, this upstart is the home to arguably the best thin crust pizza in town. Armed with a litany of fresh toppings, their innovative menu might trigger a few “What-the? !” from first-timers, but trust that you’ll be rewarded with amazing tastes if you step out on a limb. The pizza at Supino comes in two styles—red (sauce) and white (without sauce)—of which both receive high marks from yours truly. 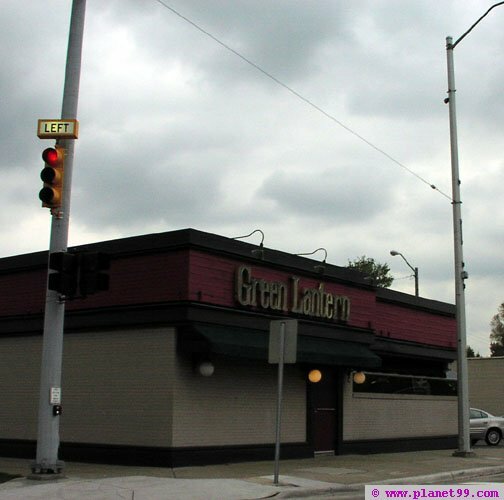 Located at 12 Mile and John R in Madison Heights, the Green Lantern proudly proclaims itself as “The Best Pizza in Town,” and you know what, they might be right. You can’t beat the homey ambience in this dimly lit place, which is adorned with sports memorabilia and family photos. They offer everything you’d want in a pizza, from the crisp, thick crust and gooey cheese to the toppings, which are both generously cut and distributed. You can also find their second location on Rochester Road in northern Royal Oak. Until my girlfriend introduced me to the delectableness of Carlo’s, like many of you I’m sure, I had no idea what it was. Family owned and operated since 1972, they use fresh ingredients and make their dough and sauce fresh from scratch every day. There are three locations, all on the eastside in Clinton Twp. and Harrison Twp. (we frequent the S. Groesbeck Hwy. location). If you are looking to get a great pizza in a pinch at an affordable price, look no further. Carlo’s has mastered the sauce-to-cheese-to-dough ratio, topping it off with crispy crust in what ultimately amounts to, without a doubt, the best carryout deep dish pizza in town. Admittedly, Buddy’s is not my favorite out of these five restaurants, but you cannot make a list of this nature without including the “Detroit’s #1 Square Pizza.” Yes, the pizza is excellent, but Buddy’s is also one of those places where people go to for the experience. It has become a Detroit tradition and a bridge between generations, as parents have been taking their children there for decades. 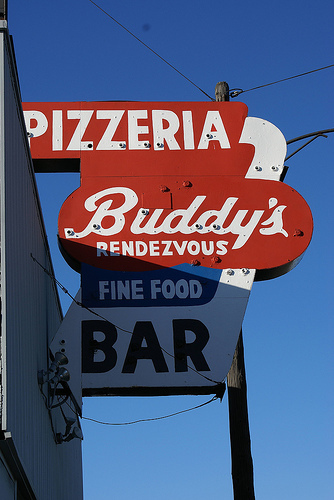 The original Buddy’s is still open at 6 Mile and Conant, and satellite pizzerias and carryout locations have since spawned throughout metro Detroit. 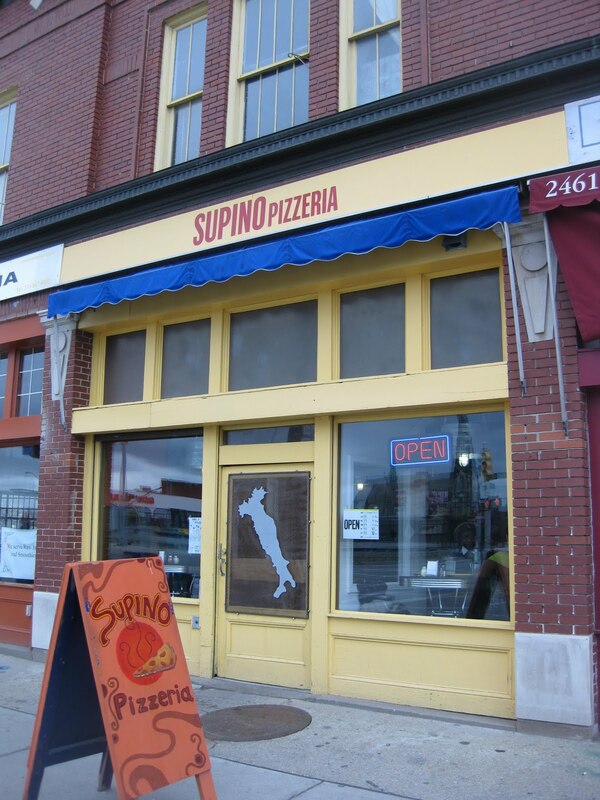 This entry was posted in Detroit, Food, Things To Do and tagged Buddy's Pizza, Carlo's Pizza, Chicago-style pizza, detroit, Detroit cuisine, Detroit pizza, Detroit pizzerias, Detroit restaurants, Detroit-style pizza, Eastern Market, Green Lantern Pizza, metro Detroit pizza, New York-style pizza, Shield's Pizza, Supino Pizza. Bookmark the permalink. There was a good article about the birth of the Detroit pizza pie a few years back, which is the deep dish style pizza. The free press had a nice little history lesson, like did you know buddies, sheilds, Louis and I believe cloverleaf are all connected? I’d say that’s on point, those pizzerias are all definitely similar from both a physical and historical standpoint. My one beef with the Detroit style pie (though, obviously I enjoy it) is that it’s not exactly original. With that said, I’m happy that our shops are beginning to gain recognition nationally for producing quality pizzas.